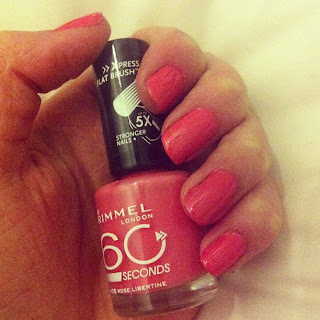 I was searching for nail designs on instagram the other day and saw a beautiful pink colour, by rimmel called rose libertine. So the next day I popped out and brought it. I think that it's possibly my favourite nail polish colour right now! I know it's winter here in England still and it's snowing but I do really like this colour!